CHICAGO – I’m not going to tell you anything about ‘Make Out Party,’ a new film directed by Emily Esperanza, that is making its World Premiere this weekend – March 30th and 31st, 2018 – in the Windy City (info below). You’ve got to go yourself, and experience the wild ride of true collaboration and vivid creativity, produced right here in Chicago. CHICAGO – It was the age of innocence, way back in 2008. Social media was a fledging duck, GPS was in its spare infancy and ride service didn’t exist… what better time for four dudes to skateboard from Chicago to New York City. “Shred America” is the film documentary story of Arthur Swidzinki, Michael Kosciesza, James Lagen and Anthony Michal in 2008, as they did what many twenty-year-olds have done throughout time – just say “what the f**k” and go for it, then film the results. “Shred America” premieres at the Patio Theatre in Chicago on March 24th, 2018 (details below). 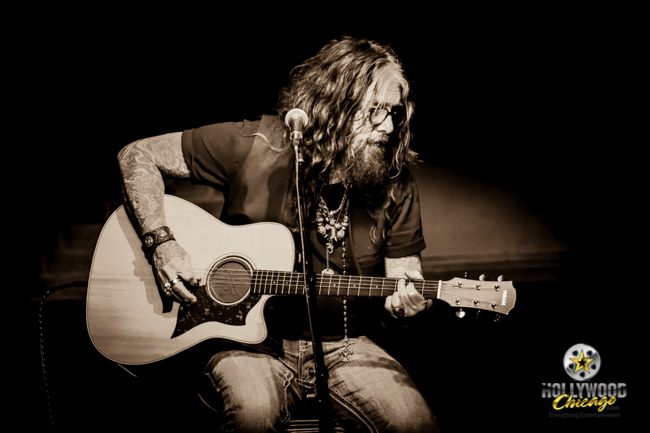 WEST DUNDEE, Ill. – John Corabi performed at the RocHaus on March 18, 2018. HollywoodChicago.com photographer Jeff Doles brings you the photos! Click “Next” and “Previous” to scan through the gallery or jump directly to individual photos with the captioned links below. All photos © Jeff Doles for HollywoodChicago.com.